Everything you need to know about The Legend of Korra. The Legend of Korra is an upcoming anime and Manga inspired Beat ’em Up video game that is currently in development by Platinum Games, the same developers that developed the hugely popular Bayonetta and and Metal Gear Solid Revengeance. The game is currently set to be published by Activision (the powerhouse Call of Duty publisher) across multiple platforms, because of this, it’s worth noting that The Legend of Korra is not to be confused with The Legend of Korra: A New Era Begins which is a game based on the same show but being developed for the Nintendo 3DS. Currently slated to be released at some point during Q3 and Q4 of 2014, The Legend of Korra will be launching on 7th and 8th generation consoles. It will be available via digital download on the Xbox 360, Xbox One, PlayStation 3 and PlayStation 4. Platinum Games were chosen to develop the game by Activision’s Robert Conkey because of their reputation for developing successful action video games. Commenting on the developers talents, he described them as being “very smooth, very flashy, and very cool”, most likely referencing Bayonetta and and Metal Gear Solid Revengeance. Because The Legend of Korra is a western developed anime, it doesn’t hold much sway in the Japanese anime market or mind share. But when Platinum Games producer Atsushi Kurooka watched the show (after having it transcribed), he decided to adapt the show into a video game because of it’s interesting mix of “interesting action, a really good story, comedy, and romance”. The Cinematics for The Legend of Korra are being animated by Tismouse, Inc who previously only worked on Guitar Hero in regards to video games. They have however animated the cult hit, Afro Samurai as well as having worked on Avatar: The Last Air Bender, a predecessor to The Legend of Korra. Atsushi Kurooka, a producer working on the game, has commented on the faithfulness of the show to game conversion, saying that it was hard to tell the difference between in game screenshots and stills from the show. The script for the game is being penned by one of the shows writers Tim Hendrick and will be acted out by the voice actors used in the show, the music will also be provided by the shows soundtrack. A playable Alpha build of the game was given a demo run by a number of media outlets such as Destructoid, GameSpot and IGN, Destructoid called the game a “pretty solid action brawler” whereas IGN said the game had “all the depth I’d expect to see from this developer bundled with a faithful artistic interpretation”. High praise given the status of the game at its time of play. The game is still in Alpha, but is playable. Despite this, there are no plot details about the games plot at the minute. The game will be following a newly scripted story and involve a newly created enemy. Gameplay in The Legend of Korra is from a third person perspective with the player taking control of the series heroine, Korra who will combat enemies with her skills in bending. In the context of The Legend of Korra, bending refers to an individuals ability to manipulate the essential elements like air, water, fire and earth. Thus making them formidable warriors. The player can cycle between these four elements at will to make use of their various abilities and powers, combining these powers allows the player to execute powerful combos. It’s worth noting that each element, brings with it a distinct play style. Air bending – Airbending allows Korra to move at increased speed as well as execute a mix of long range and close range attacks, but focuses on neither. 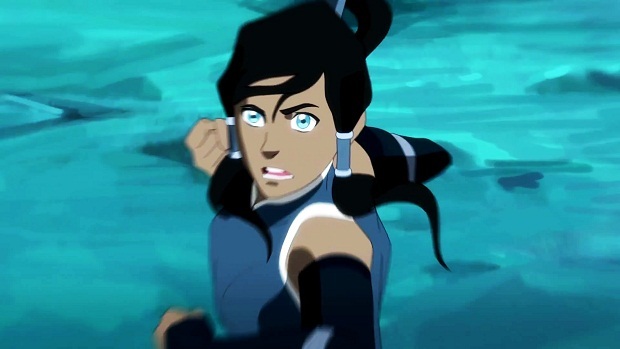 Water bending – Water bending lets Korra focus on long range attacks by using powerful pressurised water. Earth bending – Earth bending gives Korra access to much more powerful, but considerably slower attacks than usual. 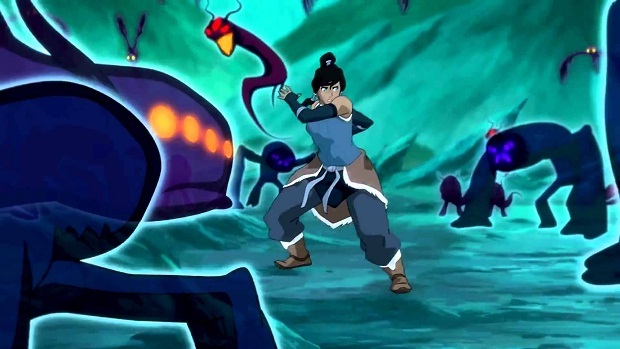 Fire bending – Fire bending focuses Korra attacks on fast moving close range attacks. Given the inherently short nature and play time of a downloadable Beat ’em Up, the game is supplemented with mini games that includes an Endless Runner (wherein the player takes control of Naga, Korra’s polar bear dog) and a New Game+ mode. Thus far, Korra is the only confirmed character appearing in the game.